An entrepreneur and leading expert on boosting mood, increasing productivity, and decreasing stress. 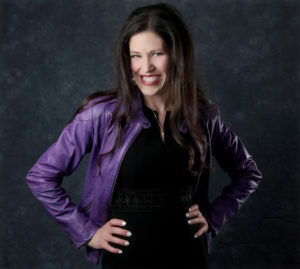 A highly regarded expert and trailblazer in her field, Jennifer has received many honours, including the Professional Caregivers Award from the Canadian Mental Health Association, and her company, JB Music Therapy has been most recently nominated for the Community Impact Award by the Calgary Chamber of Commerce in 2015, 2016 and 2017. 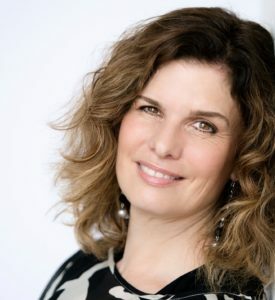 Jennifer is a certified Music Therapist, the author of Tune In, Past President of the Canadian Association of Music Therapists and the owner of JB Music Therapy. She is instrumental in the implementation of hundreds of music therapy programs through the efforts of her specialized team – 20 team members in total. Their youngest client is 2 months old and their eldest is 104. Jennifer Buchanan has spent over two decades inspiring audiences on how to foster connections, focus, and feeling better. She is a recognized leading expert on bridging the gap between academic research in the area of music medicine and the public, speaking internationally to a wide variety of education, healthcare, government, and corporate audiences. 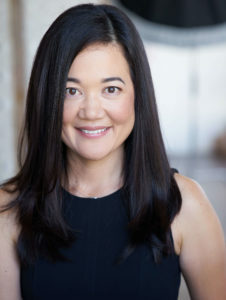 In addition to her extensive healthcare and education experience, Jennifer pursued her MBA to continue growing her 25 year, business that is based in partnerships, connections, and networks. Jennifer’s combination of wit, story-telling, high level content and an engaging, interactive style resonates with anyone wanting to feel inspired and educated. She has appeared as a guest on numerous news and current affairs programs including Fox News Health, NBC, CBS, CBC Radio, CBC Television, CTV, Global TV, and has been featured in publications such as the Huffington Post, Chatelaine Magazine and Canadian Living. Her new book The Healthpreneur’s Handbook: 9 Steps to a Sustainable, Values-Driven Business is set for release in 2018. ‘What would my business look like if it was good for my client, for me, and my community?’ This is the ultimate question for the Healthpreneur. When you step into the role of a entrepreneur, and in my case a healthcare entrepreneur, you are essentially claiming your spot as a leader and trailblazer within your specific industry and community, helping others reach their desired goals in pursuit of optimum health and wellness. Throughout Jennifer’s business career she has observed her profession move from relatively unknown to regularly featured in the media. She has witnessed her practice shift from being questioned, to being considered a nice thing to have, to becoming legislated — with her colleagues working very hard to find their place in the market. Through it all, and over 25 years later of owning and operating an award-winning private healthcare company, Jennifer will present a combination of personal stories, proven ways to grow your practice and key strategies aimed to help you build greater impact and meaning into your work and community, regardless of its’ age or size. This presentation is for all of us — the emerging private practitioner, the established healthpreneur, the business leader, the dreamer — encouraging us to stay less focused on the bottom line and more on the top line – Impact and Purpose – the reason why we do what we do….and why we should always strive to keep doing it better. 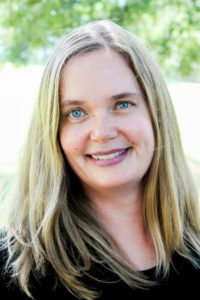 Dr Katrina McFerran is Professor of Music Therapy at the University of Melbourne in Australia. She is currently Co-Director of the National Creative Arts and Music Therapy Research Units, as well as Associate Dean in the Faculty of Fine Arts and Music, and Commissioner for the World Federation of Music Therapy Research and Ethics Committee. Dr Kat has been researching music, music therapy and adolescents for two decades and has conducted a number of studies that investigate music therapy programs and the ways that young people can use music to promote mental health and wellbeing. Her research and practices with young people often focuses on client perspectives as way of understanding how and why music therapists can be most helpful, as well as how young people can be supported to use music independently. Her work has been published in 80 refereed journal articles and three books, including ‘Adolescents, Music and Music Therapy’ (Jessica Kingsley Publishers, 2010) and ‘Creating Music Cultures in the Schools’ (with Daphne Rickson, published by Barcelona, 2016). She is also creator of the free, Massive Open Access Online Course, ‘How Music Can Change Your Life’ and has created a TedX talk on using music during dark times. 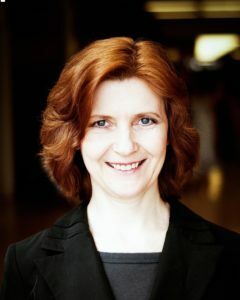 She has two fortcoming books: An Oxford University Press Handbook on Music, Adolescents and Wellbeing (with Phillipa Derrington and Suvi Saarikallio), as well as ‘ A Guide to Designing Research Questions for Beginning Music Therapy Researchers’ with (Mike Silverman, published through US AMTA Press). Keynote: Music, Music Therapy, and Adolescents: Current practice and recommendations. In this presentation, Professor Katrina McFerran will highlight the current state of music therapy practice and research with young people around the globe. Drawing on a survey of global practice, as well as a review of the literature and a series of recent studies, Dr Kat will reflect on next steps for music therapists working with young people. This work is taking place in a range of contexts around the globe, including inpatient and outpatient mental health programs, in schools, hospitals and other community programs. Whilst there is no ‘one-size-fits-all’ model, some key ideas continue to emerge from different sectors in respect to preferred methods and benefits for young people. The presentation will include suggestions and reflections from Dr Kat’s work as a researcher, practitioner and lecturer. Do you feel that you may be missing moments to tell the world about your wonderful profession? Do you feel your answers to the question “What is music therapy” may be inadequate? How do you engage other people online and in person? If you have these questions, you need to attend this presentation that will provide some answers. Focus is on networking, promotion, and advocacy. Beginning skills and specific opportunities for telling the world #MusicTherapyisAwesome will be presented. Dr. Anita L. Swanson, MT-BC is an Associate Professor of Music Therapy at Converse College, Spartanburg, SC, USA. She is also the Secretary of the World Federation of Music Therapy. Explore a blended music therapy treatment model for mothers in addictions recovery. This treatment model is a response to the growing need in our nation and combines both early childhood and addictions recovery treatment techniques. Appropriate for students and professionals alike! 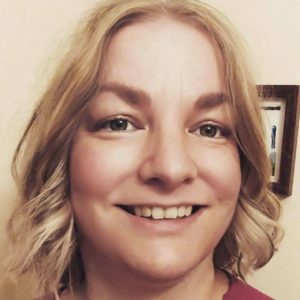 Rebekah Tarplin, MT-BC is a NICU Music Therapist and Registered Music Together Teacher working in early childhood at Star Center, Inc in Jackson, TN. 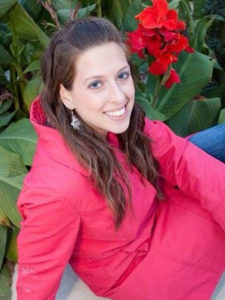 Rebekah is also continuing her education through the hybrid-Master’s program at Augsburg University in Minneapolis, MN. This power-point presentation will discuss how song writing can encourage self-expression and self-reflection in indigenous youth affected by mental health issues. How can song-writing assist individuals to reconnect with themselves? How does the process of song-writing encourage a self-reflective process and assist individuals to become more self-expressive? The presentation will include descriptions of storytelling as a cultural aspect, song-writing using different genres like a ballads or RAP. The presentation will discuss a model based on a holistic approach to wellbeing. Understand terminology commonly presented in related literature for example Therapeutic Song- Writing, Lyric Analysis and Community Music Therapy. Showcase examples from music therapy literature and research on the use of song-writing as a therapeutic tool. Understand how cultural model or framework (for example the medicine wheel) can be used to facilitate a holistic therapeutic approach. Discuss how technology (using an IPAD) can assist in the song-writing process. Fleur is currently working on a PHD in Music, a qualitative study focusing on “Improvisation, Wellbeing and Mental Health”. She is currently working on a reserve, in a role that focusses on mental health capacity building within schools. Fleur is a passionate advocate for Music Therapy and is currently part of the FACT-AB board, which is advocating for regulation of counselling therapies in Alberta, Canada. She was a committee member of the CAMT’s mental health task force. Self-care is essential for music therapists’ professional and personal resiliency. This presentation will cover ten essential self-care practices for music therapists, and will address the unique challenges music therapists face, such as constant advocacy efforts, being a professional minority, and balancing roles as a musician, therapist, and healthcare professional. Ami Kunimura, MA, MT-BC is the founder of the Self-Care Institute and the author of Resilience Over Burnout: A Self-Care Guide for Music Therapists. Ami is also the creator and facilitator of Resilience Over Burnout: A Self-Care Program, a 31 CMTE credit course. This presentation presents a model of practice combining rhythmic music and reflective discussions that is used in one to one, family and group therapy situations for social and emotional development and recovery from trauma. The presentation will demonstrate practical examples of exercises drawn from this model, and discuss their application for different client groups, as well as reference the substantive evidence base supporting it. Simon Faulkner, is a leading practitioner in the design and delivery of evidence based interventions utilizing rhythm to assist with social and emotional learning and recovery from trauma. He is the author of the book ‘Rhythm to Recovery’ and has contributed to over a dozen published papers and research studies on rhythm within therapeutic and educational settings. Simon has worked with a broad range of clients including young people ‘at risk’, people dealing with drug and alcohol addiction, mental health challenges and developmental disorders, refugees working through trauma and prisoners. 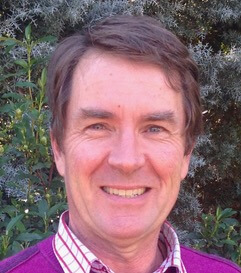 Simon has extensive experience working cross culturally and has delivered therapeutic interventions to indigenous communities across Australia as well as in both the USA and Canada. Simon has also worked closely with trauma services supporting refugee populations from a wide range of backgrounds. Substance misuse is a complex issue that affects many individuals, their families and the community. This presentation focuses on music therapy programs delivered within a women’s drug and alcohol rehabilitation center involving mother-child dyads, and women undergoing detoxification and rehabilitation. The music therapy framework described utilizes resource-oriented and empowerment philosophies along with a family-centered approach. Methods and outcomes of therapy will be presented, along with findings from the participant focus group and staff survey on the perceived benefits of the music-making, revealing the emerging themes of engagement, enjoyment and exploring emotions. 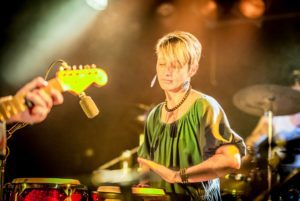 Allison Fuller has over 20 years of experience as a Registered Music Therapist working across a number of settings in Sydney, Australia. 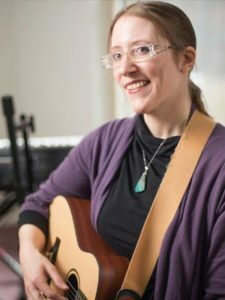 She has an interest in family-centered practice, technology in music therapy and best-practice training for music therapists. 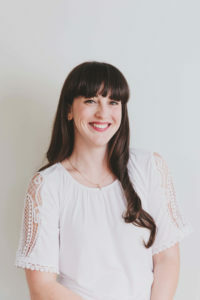 Lauren Bortolazzo graduated from Western Sydney University with Distinction in 2016 and currently works across a number of mental health settings. The Nordoff-Robbins Creative Music Therapy approach is based on the notion of the ‘music child’, the inherent musicality inborn in every child. This case study follows a seven-year old girl diagnosed with PTSD and the use of Creative Music Therapy in her therapeutic processing of trauma. It tracks the adaptation of musical communication to address emotional numbing and exploring trauma-specific re-enactments in play. Clinical improvisation became a catalyst for verbal and non-verbal client-therapist interaction. Sessions were analyzed for co-activity in play, self-regulation, and functional communication. The client shows increasing readiness to engage in co-active play and increased verbal communication. Chanelle Henderson, MCMT, is a music therapist at Nordoff-Robbins in Western Sydney, Australia. She has experience in early childhood, child and adult disability, and family therapy. Chanelle has presented twice at the Australian Music Therapy Conference and enjoys working clinically with children and families. While teaching an MT course at University of the West Indies, Trinidad, Jean’s students accompany her to MT sessions. She’s played steel pan with Phase II Pan Groove since 1995 (in Trinidad). She’s received 12 grants to share steel pans in US schools, which is done using MT practices/principals. Participants will be provided with a brief overview of the Bonny Method; and learn about the Bonny Method combined with traditional music therapy, to support relationships and facilitate grieving. Based on the author’s recent thematic analysis, this case is an example of the following emergent themes in palliative care music therapy: 1) Physical: Music Therapy as Effective Symptom Management; 2) Psychosocial: Strengthening Self Identity, Emotional Expression and Grieving, Supporting Relationships and Relationship Completion; and 3) Spiritual and Whole-Person Care: Music Therapy as a Spiritual/Transpersonal or Growth Experience, Life Review and Legacy Creation and Music Therapy to Enhance Quality of Life. The purpose of this qualitative research study is to explore how elements of anthroposophical music therapy have influenced the evolution of music therapy during the 21st century and to find how a modern science has influenced today’s music therapy awareness. In this study, a humanistic approach in music therapy reveals the holistic relationship of one’s outer world to their inner world through the therapeutic process. It explores and confirms the relationship between spiritual elements of an anthroposophical model with current models in modern music therapy. The general findings validate how new discoveries in modern science influence music therapy and therefore its application. 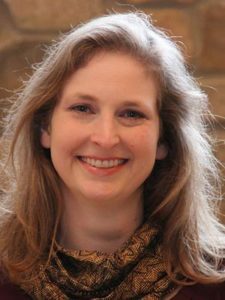 Larissa Zoubareva is an accredited music therapist, a board-certified music therapist, a certified neurologic music therapist, and registered psychotherapist. Ms. Zoubareva worked for many years as a professional pianist and piano teacher before returning to school as an adult to train to become a music therapist. Kathleen Murphy, PhD, MT-BC coordinates the music therapy degree programs at Loyola University New Orleans. She has over 35 years of clinical, research, and teaching experience. Her research interests are in music therapy treatment for substance dependence, and PTSD. She is a Fellow of the Association for Music and Imagery. 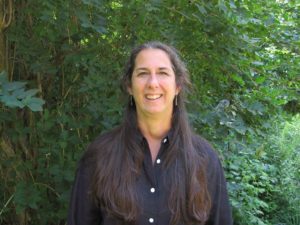 Faith Halverson-Ramos, MA, LPC, MT-BC owns and operates a community mental health-oriented music therapy practice in Colorado working with all ages and ends of the lifespan. Passionate about cultural exchange to enhance the quality of life for people around the world, Faith also serves as the Executive Director for the OCMT. Music therapists who offer parent-child developmental music-making experiences may benefit from expanding their clinical offerings to include elders in the family music-making experience. The literature on intergenerational music-making supports the inclusion of preschoolers, school aged children, and adolescents in a music making experience with elders. Practice descriptions of intergenerational developmental music-experiences offered by music therapists are represented with greater frequency. Structuring intergenerational music-making that includes parent-child dyads with very young children (birth to five years) and elders may be an area of growth for music therapists who seek address the needs for access to music making in their community. Carol Ann Blank is a board-certified music therapist and Manager of Research and Special Needs Services at Music Together Worldwide. Her research interest is music therapy clinical decision-making. She develops training materials and mentoring for teachers and licensees who work with children with special needs and their families. Have you ever wanted to utilize grants funding, but you have no idea where to start? Music therapist trained in grant-writing, grants management and project management will walk each participant through the universal requirements for proposals and will leave with an outline of their proposal! Kelli Maddock, MMT, MT-BC received her Master of Music Therapy at Drury University. She has experience working in the South Pacific in international development where she learned project design and management, grants management, and grant writing in depth. Kelli works primarily in holistic wellness, social justice and mental health. This paper has arisen from a concern and a general agreement within the literature about the Alice-in-Wonderland world of the evaluation of music therapy’s effect, where aesthetic beauty, inspiration and spirituality often bedazzle (Streeter, 2010, p. 35). This paper will explore the efficacy of computer aided music therapy practice, in evaluating the music therapy goals of; increasing gross/fine motor movement and sequencing. The monitoring and evaluating of music therapy’s impact on increasing motor movement and sequencing is extremely complex, the complexity of our hands alone is a perfect example. There are 27 bones, 34 muscles, 48 nerves, and 19 joints in each hand of the human body. A quarter of the motor cortex in the human brain (the part of brain which controls all movement) is devoted to the muscles of the hands. Despite the impact we may see as music therapists it is no longer sufficient to merely neither observe nor believe that music therapy makes a difference. As professionals we need to justify our practice quantifiably through the use of technology, in an aim to inform the procedures/methods music therapists use. The author, a music therapist with a sound design background, will describe examples of existing and original technologies currently being trial in her own practice. These include; an assistive device in the form of an interactive pool noodle that is being used in an exercise program at a nursing home. The device has been built in collaboration with an occupational therapist in an aim to motivate and increase gross motor movement amongst residents while simultaneously providing data to track the increase/decrease of movement. This paper will also address and describe an array of technologies for evaluation of fine motor movement and sequencing. This will include current results from software that captures quantitative data of piano playing and sequencing in the rehabilitation of fine motor skills. Rachael Mackay is a technophile music therapist. Full time music therapist at Nordoff Robbins. Completed her Master of Creative Music therapy in 2016 with an undergraduate in music and honors in sound design. She has specialized training in electronics and audio and is highly passionate about the efficacy of technology and the benefits it has to offer music therapy practice.